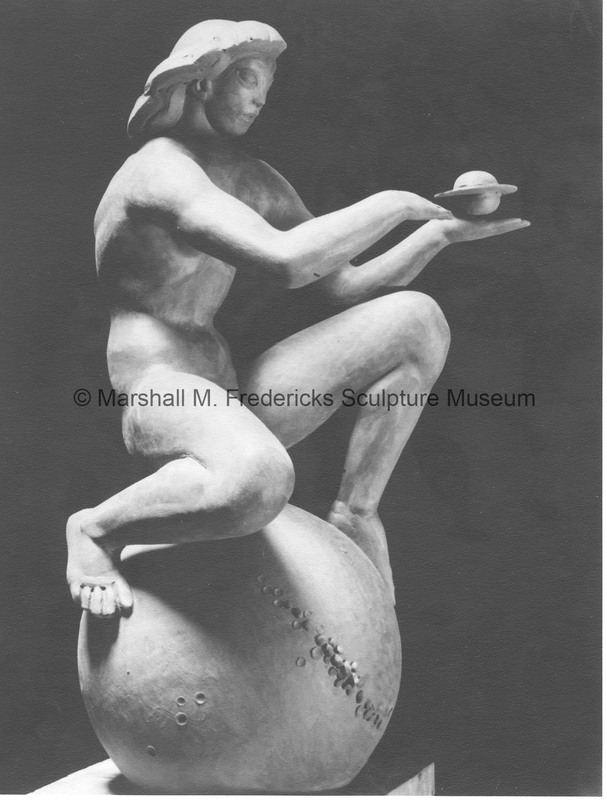 Marshall M. Fredericks Sculpture Museum | "Celestial Fountain" (Female)"
Plaster sketch model for proposal for the 1939 New York World's Fair. Although not selected for the Fair, another Fredericks' sculpture, "Baboon Fountain," did appear at the entrance to the Fair's Galss Industries Building in 1939. One of a set - other sculpture (male) is seated on a moon-like sphere holding small Saturn-like planets in each of his hands. His face and arms reach upward toward the sky. “"Celestial Fountain" (Female)",” Marshall M. Fredericks Sculpture Museum, accessed April 22, 2019, http://omeka.svsu.edu/items/show/444.